Nurturing another human being causes a lot of changes in a woman’s body, several of which are excruciatingly painful, like upper back pain in early pregnancy. Although almost everyone knows that back pain occurs during gestation, there are those who believe that it will only happen in the second and third trimesters. The reason is that, when the belly begins to grow, the expectant mom’s center of gravity shifts as well. The shift causes positional changes in both the front and back muscles like the ones on your abdomen and those supporting the shoulders and spine. What many don’t know, however, is that upper back pain early on is possible and is one of the first signs of the conception of a child. Back pain, in general, can leave you crippled and unable to function normally. Add that to the other symptoms of pregnancy such as nausea, vomiting, tender breasts, headaches, and fatigue, and you would probably rather stay in bed for the rest of the day. Magical as it is, pregnancy is something that should not be taken lightly. Knowing why and how it occurs is imperative for you to understand and learn how to deal with it appropriately. According to the American Pregnancy Association (APA), there are three reasons why women experience upper back pain early in the pregnancy: changes in hormone levels, poor posture,and stress. After the fertilized egg implants in a woman’s uterus, various changes occur in her biochemical composition. It means that some of her hormones will spike and loosen the joints and ligaments along the pelvic area in preparation for childbirth. HCG or Human Chorionic Gonadotropin is the very first biochemical component in a woman’s body that shoots up. If this hormone sounds familiar to you, it’s probably because you’ve read it from the information pamphlet that comes with your home pregnancy testing kit. This hormone is responsible for information dissemination— telling the body that it will be nurturing another human soon. It also tells the ovaries to go on a temporary hiatus and stop producing mature egg cells every cycle. Progesterone is another familiar hormone that surges upon conception and is the hormone responsible for keeping muscles, particularly in those the uterus, relaxed during the pregnancy. Working hand in hand with progesterone in preparing for childbirth, the hormone called “relaxin” is the main reason why pregnant woman experience upper back pain in the first trimester. Relaxin, based on a study published in 2013, affects the level of the cervix and inadvertently affects the pregnant woman’s equilibrium and may even cause preterm labor. Posture also plays a role in the emergence of back pain, especially in women who are expecting, so it is important to avoid slouching. Meanwhile, stress is also seen as a contributing factor for upper back pain experienced during the first trimester of pregnancy as it is a general cause of aches in different parts of the body. However, pregnant women have it worse as a stress-induced backache becomes even more debilitating when accompanied by anxiety due to work, family, finances, and other problems. That may be one of the reasons why obstetrician-gynecologists highly recommend that pregnant women avoid any stressful situation. While back pain is to expected during gestation, it doesn’t necessarily mean that you need to brave through it. In fact, there are ways how you can avoid and ease back pain during pregnancy, according to the UK’s National Health Service (NHS). Keep your back straight when lifting or picking up something from the floor. You can do this by bending your knee instead of bowing to reach down. Refrain from carrying heavy objects. Leave the heavy lifting to your partner or others who aren’t carrying another human being in their belly. Avoid twisting without lifting your foot. That will prevent you from overworking your spine and, ultimately, back pain. Ditch high-heeled footwear. Wearing flat shoes will help distribute your weight evenly and avoid untoward accidents. If you carry grocery bags, make sure to balance the load between your left and right hand. Don’t overstrain your body as it is already working double-time to keep you and your baby in good shape. Get plenty of rest. When sitting for a long time at work, make sure your back is straight and supported with a firm-but-comfortable pillow. Choose a mattress that offers ample support for your back. Having a hardboard under the foam would help achieve this. Have a warm bath or massage. It will help alleviate backaches, relieve stress, and promote relaxation. In 2017, a study conducted by the researchers from Camilo José Cela University (UCJC) confirmed the benefits of prenatal exercises for both the baby and the expectant mommy. It has various benefits for pregnant women, such as promoting flexibility, treating upper back pain, and improving the strength of the abdominal muscles. Prenatal Yoga – As in other yoga classes, prenatal yoga can improve flexibility and treat back pain. Aside from that, it can also improve your mental state and relieve emotional stress that comes with the hormonal changes that your body undergoes. Aquanatal Activities – Swimming, pool running, and water aerobics are among the most common activities that a pregnant woman can do in a pool without putting too much strain on her body and alleviate discomfort from back pain. 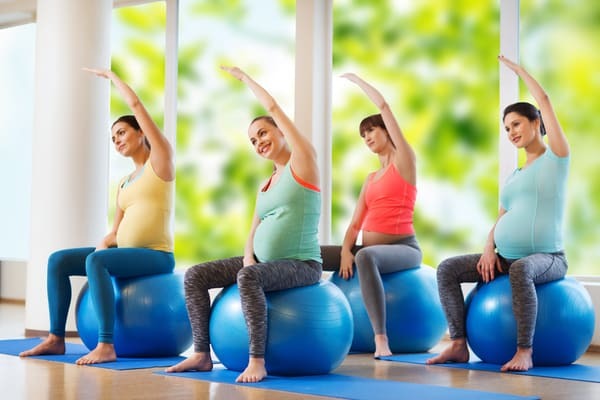 Pilates – Pilatesis one of the few exercises that a pregnant woman can do in every trimester. The best part is, it can strengthen core muscles, build stamina, and may even reduce back pain. Although it is good to move around during gestation, it is imperative that you take extra precautions to avoid accidents and inadvertent muscle aches like upper back pain. To treat pain while keeping your baby safe, you should always consult your doctor first. It also applies to the intake of medication and participating in prenatal exercises and other potentially strenuous activities. While upper back pain in early pregnancy can be a huge discomfort for women, it simply means that you need to build your strength up for the baby that is about to arrive. 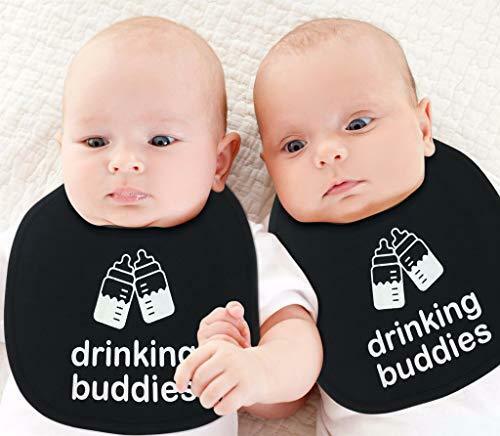 It is especially important to do so when you are carrying twins or multiples.